Charmaine Hammond is a highly sought-after business keynote and workshop speaker, entrepreneur, author and educator who teaches and advocates the importance of developing trust, healthy relationships and collaboration in the workplace. She has helped clients in many industries build resilient and engaged workplaces, develop high trust/high accountability relationships, and solve workplace issues that get in the way of success and profitability. She is respected as a “no fluff” and “rich content” speaker who delivers tangible tools to step into action immediately. Before committing herself to the speaking industry, she used to be a correctional officer. It was in her experience in dealing with difficult inmates, colleagues and challenging situations that Charmaine Hammond became passionate on developing strategies to help herself and others grow. 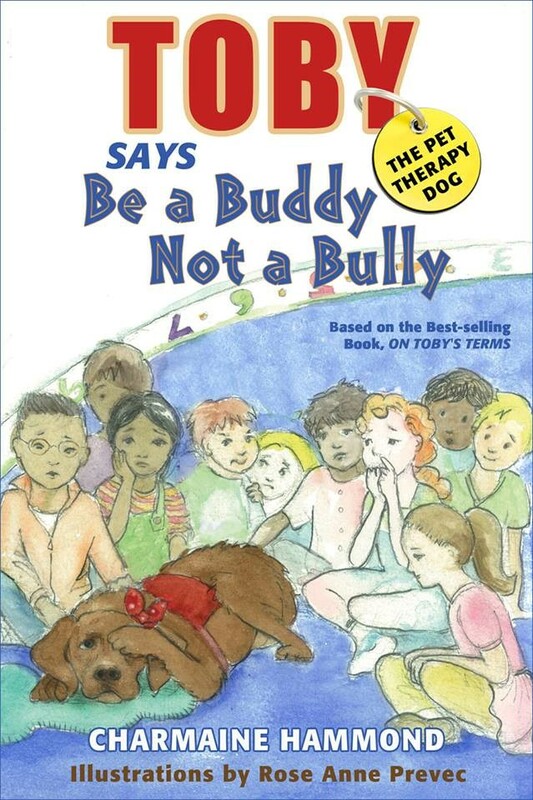 She later worked in the mental health field as a counsellor, program manager and crisis responder. She went back to school to obtain a Master’s in Conflict Analysis & Management and a B.A. in Social Development. She went on to obtain her Chartered Mediator and Conflict Management certificate from the Alberta Arbitration & Mediation Society. Hammond is now one of Canada’s leading authorities on Conflict Management, Resilience and Workplace Wellness/Mental Health and Effective Communication. She understands the challenges that individuals and organizations face in today’s fast paced and fast changing working environments. Her humourous and inspirational presentations are packed with powerful and strategical insights on how to improve team synergy, leadership development and create a positive workplace culture. Her presentations deliver a heartfelt approach with rich content, high energy humour, and expert storytelling that the audiences remember and talk about for years’ after the presentation. Her sessions inspire individuals to step into action and implement her strategies immediately following her presentation. She has a highly interactive speaking style which focuses on releasing the audiences from former misconceptions and assist them to identify problematic behaviours and habits within themselves and their team, so that they can grow and fulfill their full potential. Charmaine Hammond is respected for her ability to engage people, get results, and transform workplaces through her proven methods and systems. She offers practical insights to help helps others in dealing with workplace and personal challenges on creating safe, respectful, effective and productive working environments. 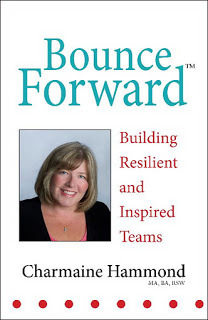 Hammond has won several business awards and is the bestselling author of five books including: Bounce Forward: Building Inspired Resilient Teams, Building a Respectful Workplace, GPS Your Best Life (co-author), and her latest (launching fall 2019) Working Better Together. Resilience is more than simply bouncing back after change, challenge crisis and adversity. Now, more than ever, the skill and character of resilience and positive mental health in the workplace is an essential quality for business and personal success. Increasing workplace challenges such as disputes and harassment complaints, safety issues, remote teams, absenteeism, multigenerational teams, and rapid change require resilience and mental wellness to cope and maintain productivity and working relationship. This session provides practical strategies and practices that can be implemented immediately to produce positive results. Despite how stressful it can be, conflict and miscommunication is a natural occurrence in workplaces. Having diverse teams, passionate staff, and a variety of professional backgrounds leads to great results but also sometimes conflict. Managers lose sleep and time over conflict, just as employees do. Yet, when miscommunication and conflict is well managed it can repair relationships, build new solutions to everyday problems, save time and money, create synergy and more. This seminar helps participants turn the most avoided conversations into courageous dialogues while keeping your cool. Great teams don’t just happen… they are built by design, not default. When team members know and understand their working style, and the styles of others, they can more effectively and comfortably adapt their approach to communication, issue resolution and work together to build a team that stands the test of time. This presentation helps improve team performance, workplace relationships and productivity. 3 essentials for moving through the various challenges by design, instead of by default. Is your organization experiencing change or transition? Conflict (and unresolved conflict) often surfaces during periods of workplace change, which can complicate the change and create additional challenges to manage. Leading teams can be challenging at the best of times. Leading the conflict, change and crisis is difficult without the right tools. Leaders spend more than 60% of their time dealing with conflict and employee issues in the workplace. How a leader leads through change and conflict has significant influence on the results. Respectful workplaces are safer workplaces. Respectful and resilient workplaces have less turnover, healthier team relations, and, produce results. How to create a culture of kindness, resilience and respect . Despite how stressful it can be, conflict is a natural occurrence in workplaces. Having diverse teams, passionate staff, and a variety of professional backgrounds leads to great results but also sometimes conflict. Managers lose sleep and time over conflict, just as employees do. Yet, when conflict is well managed it can repair relationships, build new solutions to everyday problems, save time and money, create synergy and more. This seminar helps participants turn the most avoided conversations into courageous dialogues. We live in a fast paced and instant society, where we do more with less, and where teams are often flooded with information on a daily basis. The current economic downturn has created challenges and change, and in some cases, uncertainty. Resilience is a critical skill for individuals and businesses to bounce forward during change, demanding times and following adversity. Resilience is an essential skill-set for a thriving successful workplace. Being our personal best is what it’s all about. Yet obstacles and roadblocks can detour us on the way to success, or even prevent us from getting there at all. 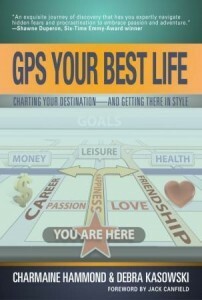 GPS Your Best Life helps you determine exactly where you are now, and through practical strategies and assessment tools, helps you clarify what you want in your personal and career life—all can put you on the road to achieving what you want in your life, your career, and your relationships. "The Canadian Payroll Association hired Charmaine to be a keynote speaker and to present a breakout session at our Spring Payroll Summit held on March. She was such a hit as a keynote speaker, people not originally registered for her breakout session decided last minute to attend because they just couldn't get enough of Charmaine! She went over so well at the event I decided to hire her to be our keynote speaker at our roadshow of National Payroll Week events in September 2018 and was very well received at those too". "Charmaine Hammond has recently delivered a presentation at the ASQ Vancouver 5th Annual Quality and Business Excellence Conference. She listened carefully to our needs and expectations and worked with us to prepare a presentation that was a perfect fit for the purpose and the theme of our event as well as the size and the composition of our audience. On the day of the conference, she awed us with her engaging manner of delivery, warm natural speaking style and her knowledge on the subject of Collaboration and Alignment Agreements for Business Results. I would not hesitate to invite or to recommend Charmaine to speak at any professional event again." "I recently invited Charmaine to speak for 20 minutes to about 50 business women of the eWomenNetwork Victoria, BC chapter on "The 3 C's of Business Success: Collaboration, Communication & Conflict Resolution." She was engaging, informative, fun and had our attendees scribbling their notes as quickly as possible. In the post-event survey results, attendees rated her as having excellent and above average stage presence, delivery and communication skills. They said, "...as the speaker was so impressive, I would have loved for her to have had more time..." and "she gets 10 out of 10 in my opinion." They all also absolutely agreed or strongly agreed that her topic was relevant and beneficial to them. As the event organizer, I love it when the feedback is overwhelmingly positive and when the speaker stays on time! I also appreciated her promotion of our event before, during and after the event. If you are looking for an engaging, personable, fun and funny speaker with solid content for your next event, book Charmaine. You'll be happy you did. Thanks Charmaine!"